Gas prices soar on Memorial Day weekend. These places are hit hardest. Gas prices have soared, and some areas of the country are feeling it more than others. The sharpest price hikes have hit the Midwest. Over the past month, the average price per gallon of gas in Michigan has shot up 32 cents, more than any other state. Its statewide average recently hit $3.15, according to data from GasBuddy, a platform that tracks real-time prices at stations across the country. North Dakota's gas is $2.96 on average, about 29 cents higher than a month ago. And Wisconsin's gas hit $2.94 per gallon, a 28 cent increase. Wyoming, Minnesota and Ohio round out the top six. 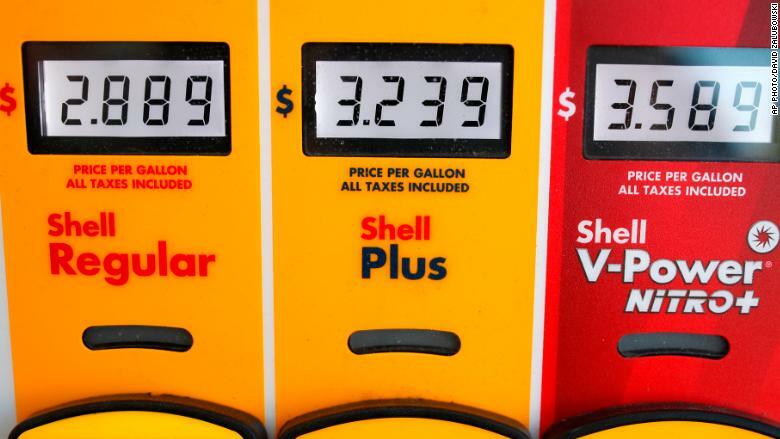 The national average price per gallon of regular is creeping toward the $3 mark, making it the most expensive for a Memorial Day weekend since 2014, according to the American Automobiles Association. Soaring gas prices can be attributed to factors like oil production cuts orchestrated by OPEC and Russia, Venezuela reducing output, and the United State's decision to leave the Iran nuclear deal. All that may seem pretty far removed for vacationers that are hoping to kick off the unofficial start of summer relaxing at the beach. But if that beach is in California, chances are the most expensive pump prices in the country are nearby. The West Coast typically has the most expensive gas. Geography, high demand and clean air regulations contribute to the price per gallon. 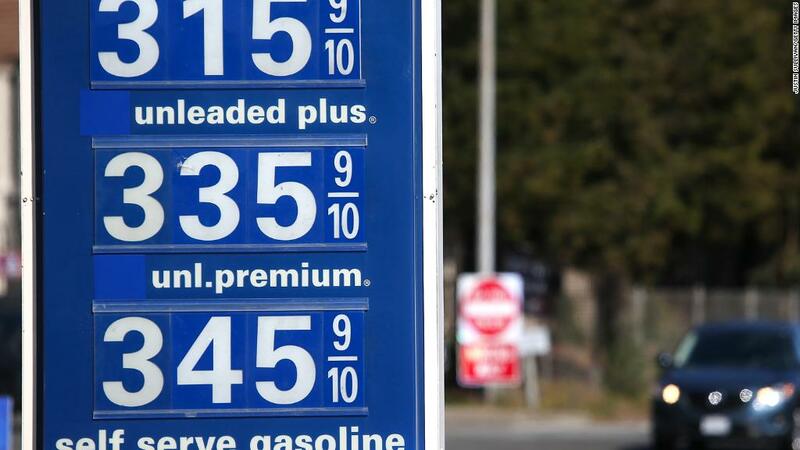 Folks in some areas, such as San Francisco, are seeing prices near $4 per gallon. Prices at the pump haven't been this high for Memorial Day weekend since 2014, when crude was sitting in triple-digit territory. The American cities that have seen the steepest price increases at the pump are also speckled across the Midwest. In Toledo, Ohio, gas prices have climbed 41 cents, and just across the border in Monroe, Michigan, residents have seen a 40 cent increase. Monroe City Council member Kellie Vining told CNNMoney that she's "heard a lot of complaining" about gas prices — and, for some, it's putting a damper on the holiday weekend. She said she spoke to a local farmer who canceled his annual Memorial Day weekend vacation to Michigan's Upper Peninsula "directly due to the increase in gas prices." "I represent a working class neighborhood and I am concerned for my constituents ability to keep up with the high gas prices, especially when coupled with the other utilities and insurance," Vining said in an email. Patrick DeHaan, head of petroleum analysis at GasBuddy, says it's really a matter of bad timing that has made price increases seem so dramatic in the Midwest. Gas prices tend to cycle through highs and lows, and it just so happens stations in the heartland were at the low end of that pricing cycle a month ago. So, it's made the recent price hikes seem more pronounced. There's no sign that pricier gas will have a significant overall impact on the number of people heading out for a drive this holiday weekend. AAA predicts 36.6 million people will be on the roads, about 4.7% more than Memorial Day weekend in 2017. Not a single state is projected to see a decrease in the number of people traveling by car, according to an AAA spokesperson.